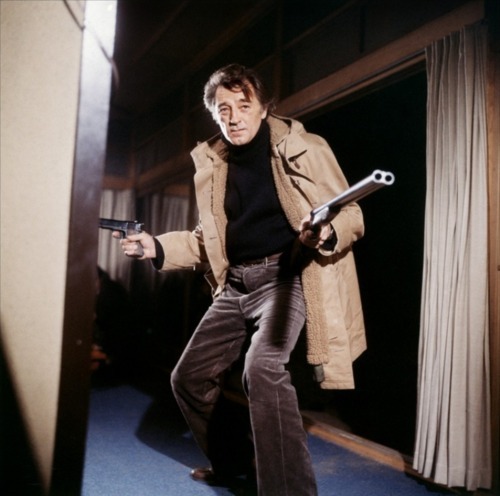 You don’t expect Robert Mitchum to star in a Yakuza film, but the hangdog look he earned with age- Born in OUT OF THE PAST and perfected in THE FRIENDS OF EDDIE COYLE– serves him well in this hardboiled tale of honor and the human heart. THE YAKUZA was directed by Sydney Pollack (Jeremiah Johnson, Tootsie, Three Days of the Condor) the screenplay by Paul Schrader, who would go on to write TAXI DRIVER, BLUE COLLAR, and MISHIMA. Scorcese wanted to direct, but the studio gave it to Pollack; the film didn’t go particularly well, so that’s a good thing. Maybe we wouldn’t have TAXI DRIVER if Marty directed this film. Robert Mitchum plays Harry Kilmer, a PI who lived in Japan after serving in World War II, who left when his love Eiko refused to marry him. He returns to help his friend George, whose daughter has been kidnapped by yakuza. Harry meets up with Eiko and her brother Ken Tanaka, a former yakuza who left the life to become a sword instructor. Ken holds a debt of honor to Harry for protecting Eiko through the war years, and agrees to help find the taken girl. They rescue the girl in a bloody gun and swordfight, a precursor to the end of TAXI DRIVER, and escape with their lives- but with prices on their heads. Harry can flee the country, but stays behind to protect Ken. The debt of honor is mutual. They face the yakuza gang in a brutal, prolonged battle that evokes YOJIMBO and STRAW DOGS, and in the end learn the secret of why Eiko would not, and still will not marry Harry Kilmer, and how deep Ken’s debt truly is. THE YAKUZA is a solid hardboiled thriller for its time, and while it clings to misinformed myths of the yakuza gangs- that they will only fight with swords- these flaws are easily put aside to enjoy the story. Ken Takakura is more of a stoic samurai, and Mitchum’s match in minimalist, facial acting. The film suffers from a plethora of characters and a lack of emotion. 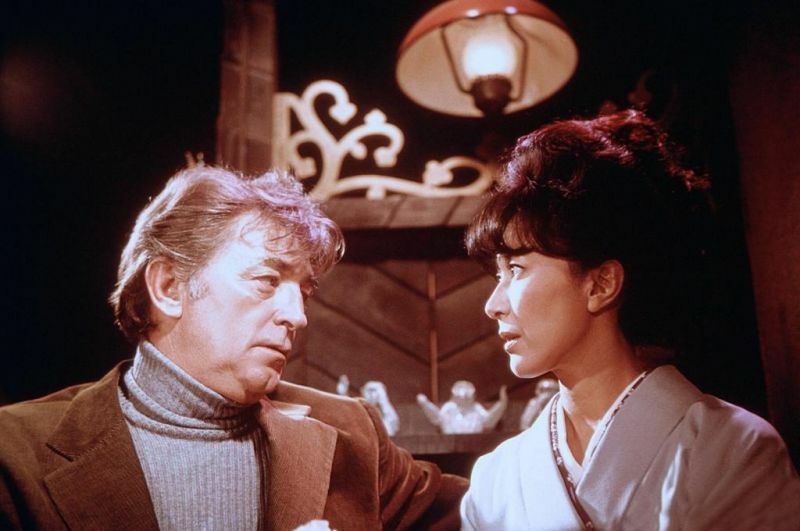 The unrequited love between Harry and Eiko doesn’t carry the sting it should, but Mitchum is always a joy to watch and this is no exception. The swordfights are impressive for an American film of the time, and it offers a glimpse into a world that was unknown to the West at the time, the secretive crime families known as the Yakuza. One of the great Mitchum films from the final period.